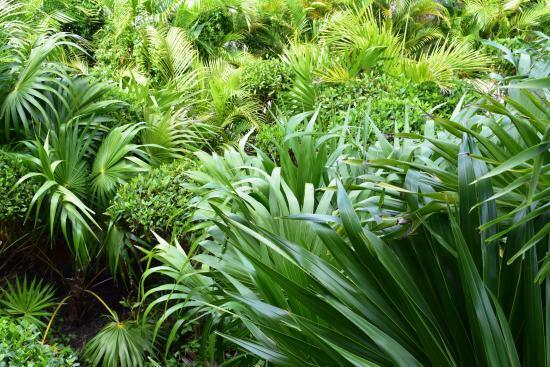 Yes, we live in a wonderful world, and the Riviera Maya is a true gift of nature, being full of flora and fauna that attracts hundreds of thousands of people from all over the world. 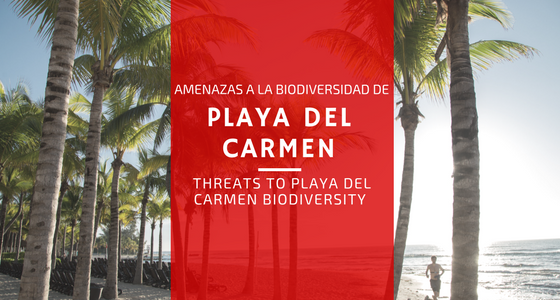 Playa del Carmen’s natural surroundings have been a source of inspiration not only for the Mayas and their ancient culture, but also for current projects such as Sandos Caracol, a Riviera Maya eco resort that focuses its activities on coexistence with the environment. 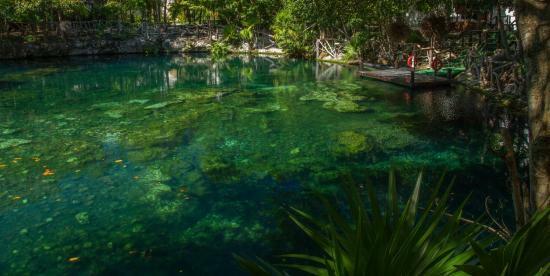 The wonders in the region begin from the subsoil (mostly leptosol, which is present in 58.8% of the soil in our state of Quintana Roo), where limestone, underground rivers and cenotes create the perfect base for a great diversity in vegetation, from tropical moist broadleaf forests, up to thorny scrubland and mangroves. 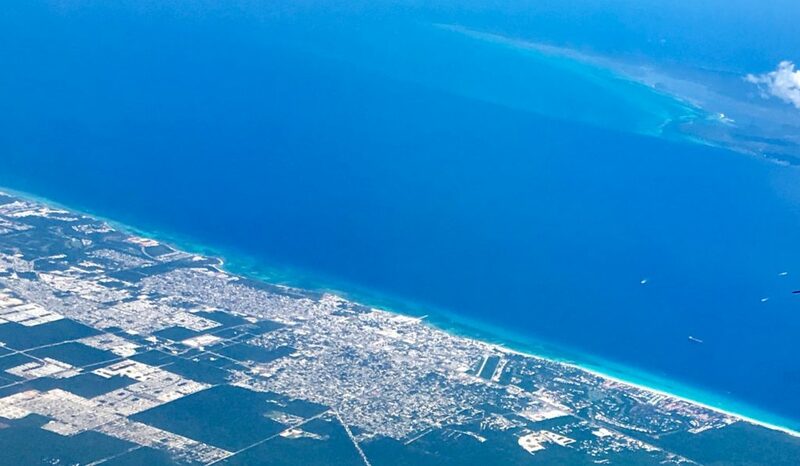 These waters, trees, bushes and rocks are home to thousands of animal species of all sizes, so it’s common to come across amphibians, reptiles, birds and mammals during your stay in Playa del Carmen. These wonders have attracted hundreds of thousands of visitors from all over the world, and thousands of jobs have been generated thanks to tourism. Up until the mid-eighties, Playa del Carmenwas a small town with less than 1,500 inhabitants, but it’s become a well-known destination in the past two decades: it already has 356,923 inhabitants as of early 2018. Unfortunately, this is not always a good thing, and due to the exploitation of natural resources by humans, we see less and less biodiversity where life used to be everywhere you looked, hence the importance of transforming our vision towards sustainability. Queen conch: The Lobatus gigas is a speciesof large edible sea snail and one of the largest mollusks native to the tropical northwestern Atlantic, from Bermuda to Brazil. Its high market demand increases its furtive capture, even when capture has been banned to avoid further damage. In 2017, an initiative reachedthe General Congress of the United Mexican States, which is expected to criminalize the illegal extraction of this species. 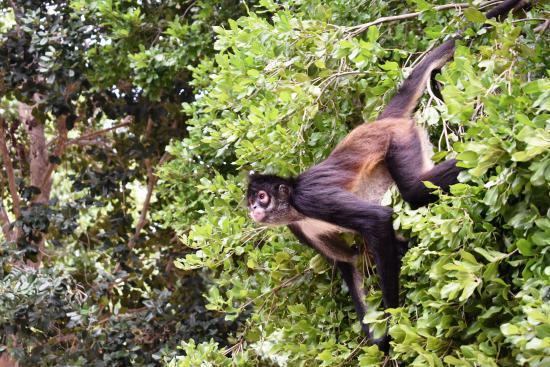 Spider monkey: This species is one of the largest New World monkeys, weighing up to 9 kg. It’s known for its long limbs and long prehensile tail that functions as an additional limb. As a result of habitat destruction, hunting, and capture as a pet, the spider monkey is considered one of the 25 most threatened species of primates in the world by the International Union for Conservation of Nature. We are against animal captivity. Sandos Caracol does not encourage the exploitation of exotic animals to sell souvenir photos, which is why you will not see people selling photos with a macaw or a monkey on hotel property. However, since our beach is federal property, we cannot prevent outside vendors from selling animal photos to our guests on the beach. 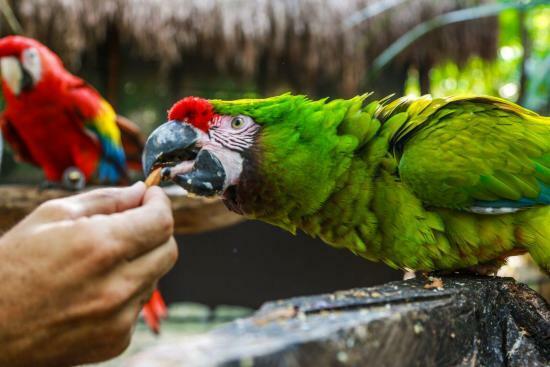 If you see a vendor on the beach selling photos with exotic animals like birds, iguanas, snakes, monkeys, etc., we encourage you to become a responsible traveler and not participate in animal exploitation. Animal rescue from bad and dangerous situations. What started as just a few pens for donkeys and peacocks has become a Mini Farm full of animals rescued from terrible conditions, due to the negligence or ignorance of the people who had them. 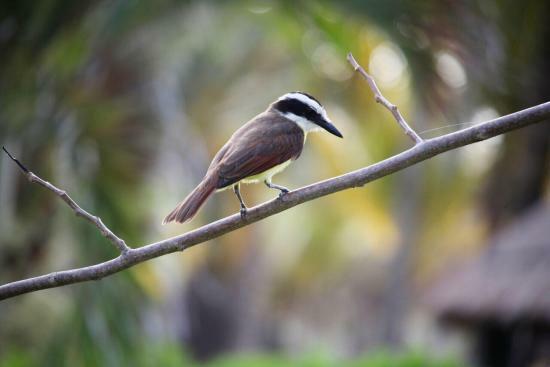 Sandos Caracol has also developed programs for the conservation and reproduction of endemic species, creating and providing spaces for them to breed and prepare to be released into their natural habitat, such as white-tailed deer and macaws. Certifications: Because of our programs and policies in favor of the environment, our hotel hasearned different accreditations and certifications such as the MesoAmerican Reef Tourism Initiative, a strategy to guarantee sustainable tourism in the Mexican Caribbean, in addition to the Distintivo S, a certification granted by Mexico’s Secretary of Tourism (Sectur) to recognize good sustainability practices in the development of tourism industry projects and the commitment of travel industry businesses with the highest environmental standards. Salvia: Our eco-food restaurant is dedicated especially to those travelers who seek to make their stay even more sustainable and healthy, offering a delicious vegetarian and vegan menu. 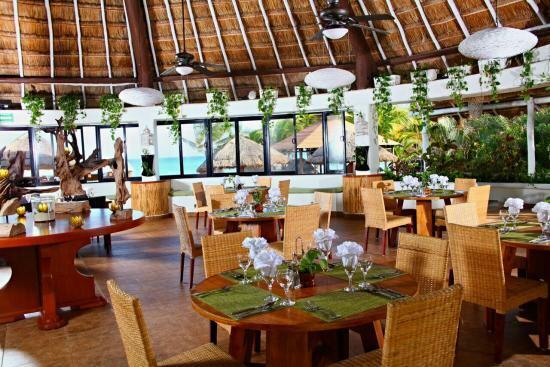 In addition, Sandos Caracol Eco Resort has implemented a number of hotel initiatives likeon-site signage, social media campaigns, not offering straws or coasters or plastic water bottles at our bars and restaurants,plastic bottle cap collections, beach clean-ups, water treatment, oil recycling, and more. We want to provide our own small contribution as a sustainable resort, and we hope to convey this message to our guests so that they can participate in this eco-friendly vision of traveling responsibly in Mexico. fecha 29 julio al 02 agosto gracias.